On its Rounder Records debut, Dervish takes the listener on a journey to the heart of Irish music. From Dublin to Galway and Belfast to Cork — with all the meandering rural roads in between — Dervish (who hail from County Sligo) give listeners an education in Eire geography and history. Along for the ride are a dozen guests, many from the Americana genre. Guests were asked to pick the traditional tune that meant the most to them. The result: a gorgeous mix of ballads, funeral dirges, and Irish dance songs. 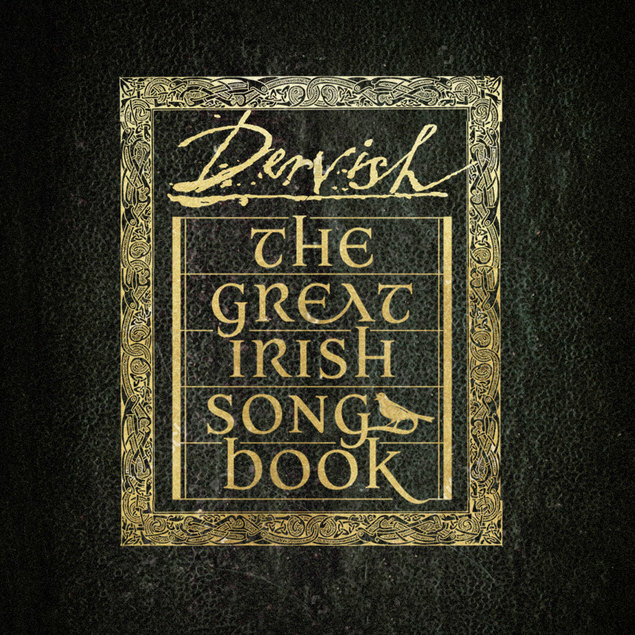 Recorded mainly at The Magic Room in Sligo and produced by Graham Henderson (known for his past work with Sinéad O’Connor), The Great Irish Songbook delivers 13 well-loved and well-worn Irish tunes with a spirit and soul only Dervish can impart. “The Rambling Irishman” opens the record and features the otherworldly pipes of Dervish’ lead vocalist Cathy Jordan. No stranger to exploring traditional Irish folksongs and themes in his work, Steve Earle (think “The Galway Girl,” from Guitar Town and “Johnny Come Lately” from Copperhead Road) joins Dervish on a heartfelt version of the classic “The Galway Shawl,” a beautiful ballad about a rural courtship that waltzes along in ¾ time. “There’s Whisky in the Jar” — the classic Irish tune everyone from Metallica to Thin Lizzy has covered — is injected with a new breath of bluegrass air, while still leaning close to the traditional version, thanks to the beautiful instrumentation of Nashville’s The SteelDrivers. A pair of other highlights are “The Fields of Athenry,” narrated by Jamey Johnson, and “The West Coast of Clare,” one of the newest songs on the album and featuring David Gray. The disc closes with the appropriately named “The Parting Glass,” featuring Abigail Washburn. The Great Irish Songbook proves 30 years on these Irish folksingers are still going strong. Take a trip with these 13 timeless, sparse songs from The Emerald Isle. Close your eyes. Listen deep. Grab a dram. And just for a wee moment get transported across the sea with these contemplative melodies.